An apron was a necessity in Laura’s day; women were used to keeping their everyday dresses clean enough to wear throughout the week, and made sure to protect their special occasion dresses so they would stay pretty and nice. Aprons come in handy these days, too! 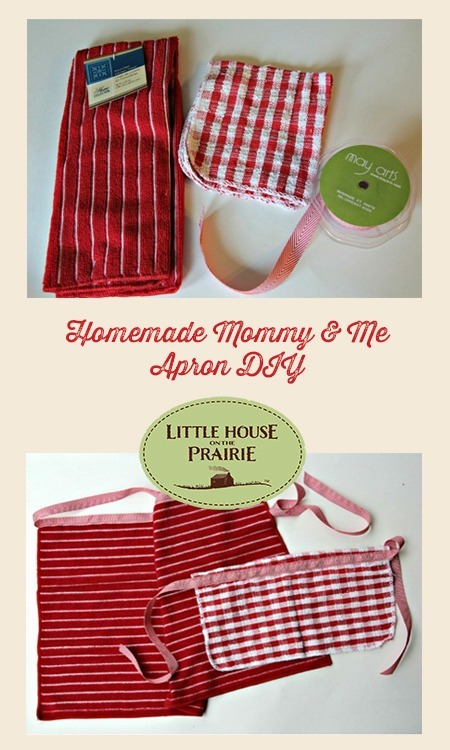 Here are two easy-sew aprons (adult and child sized) for you to make; perhaps this will be your first sewing project! All you have to do is sew a straight line. “Everyone exclaimed when Ma unwrapped her pretty apron. She put it on at once, and stood up for them all to see. She looked at the hem, and smiled at Carrie. “You hem very nicely, Carrie,” she said, then she smiled at Laura, “And Laura’s gathers are even, and well sewed. It is a nice apron. 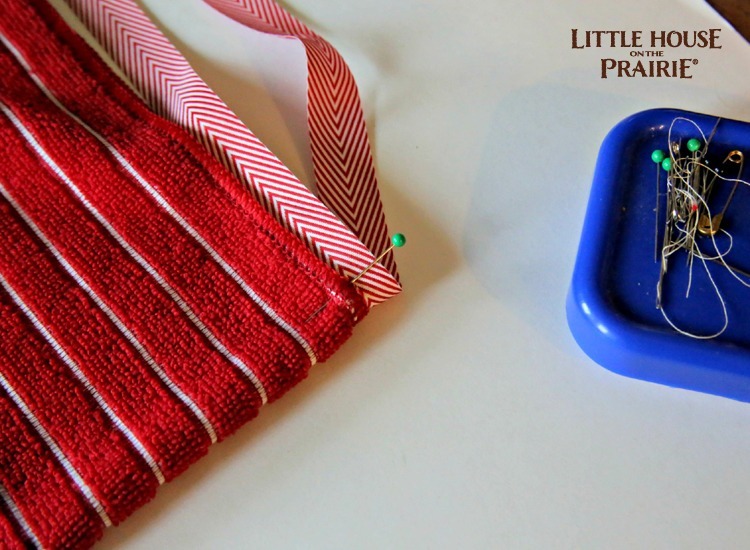 Cut a length of sturdy cloth ribbon that will go all the way around your waist and tie comfortably into a bow. Fold the ribbon in half lengthwise and mark the middle of the ribbon with a pin. Then, fold the dish towel in half lengthwise. 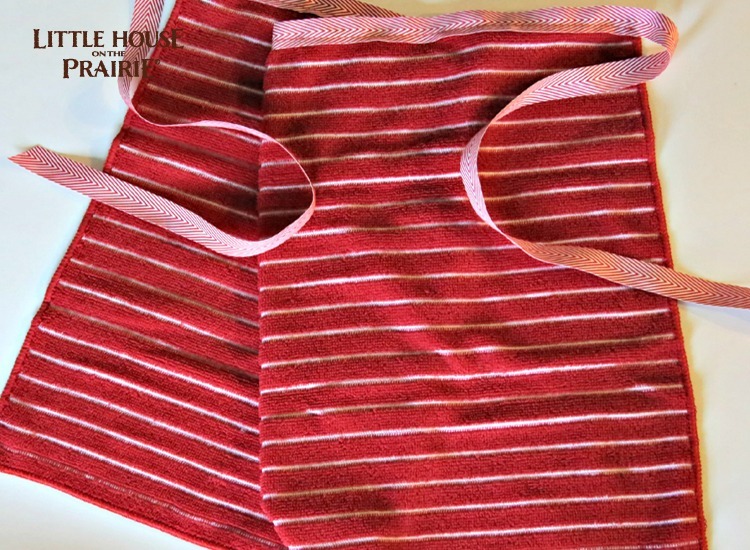 Match the middle of the ribbon with the middle of the dishtowel, and pin the centers together at the top of the towel. Continue to pin the ribbon to the top of the towel. With your sewing machine, sew from one end of the pinned ribbon to the other end. 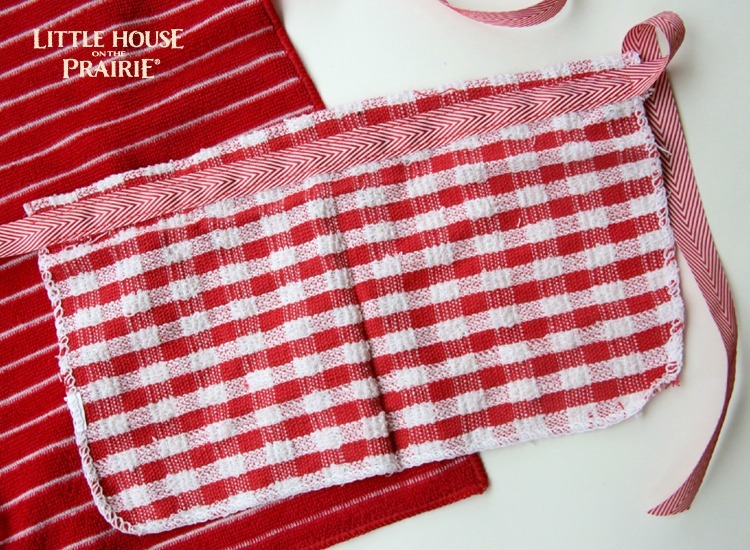 Note: If using needle and thread, do a sturdy stitch such as a backstitch to secure the towel to the ribbon well. Remove pins and clip threads. 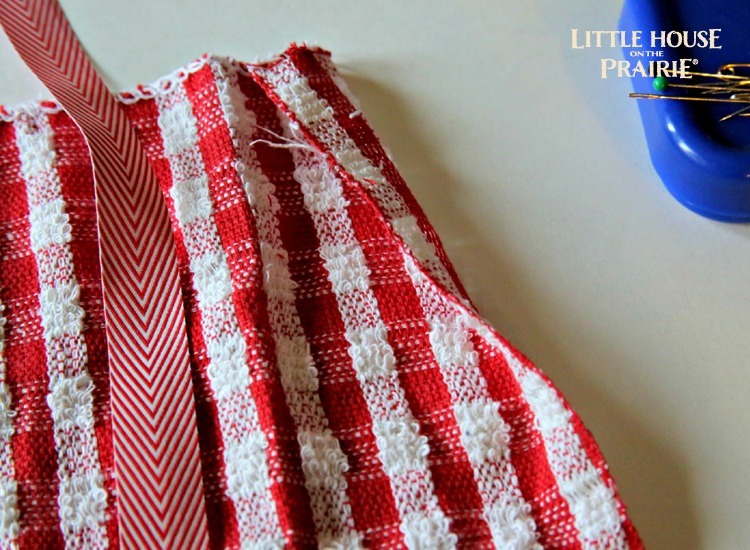 Cut a length of sturdy cloth ribbon that will go all the way around the child’s waist and tie comfortably into a bow. Fold the ribbon in half lengthwise and mark the middle of the ribbon with a pin. 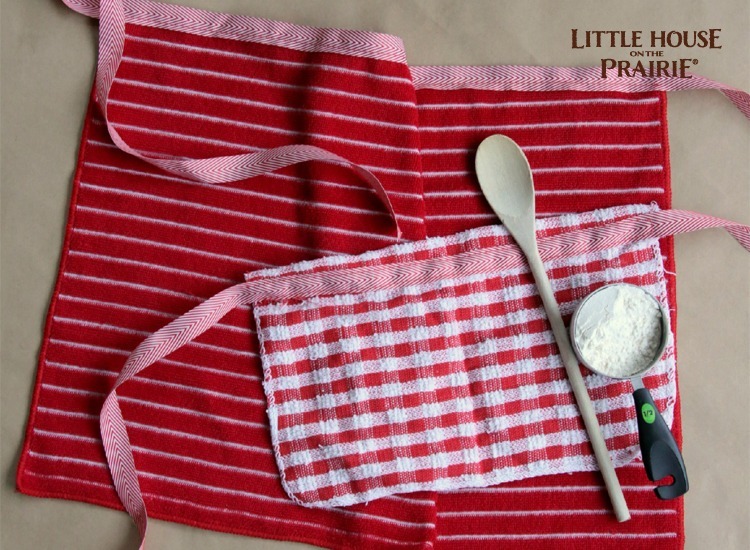 Cut about 2” from any side of the dishcloth to create a rectangle that will fit your child’s lap. Fold the cut side of the dishcloth down about 1”. 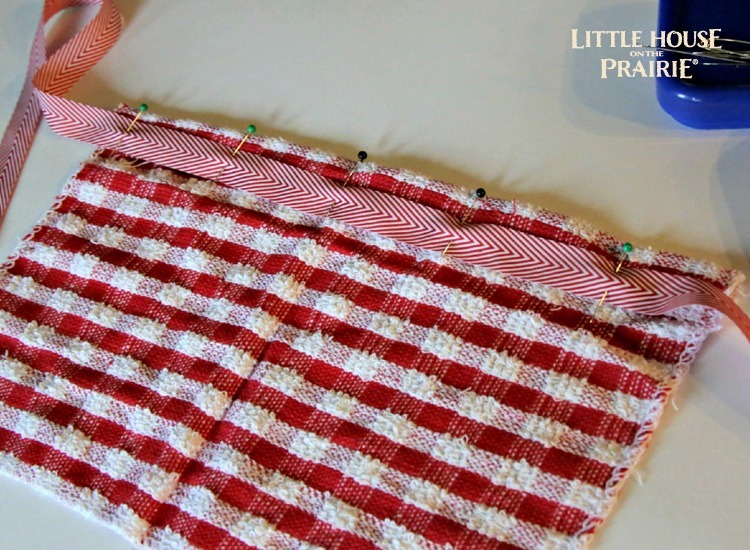 Fold the dishcloth in half lengthwise. Match the middle of the ribbon with the middle of the dishtowel, and pin the centers together over the folded, cut end of the dishcloth. Continue to pin the ribbon across the length of the dishcloth. 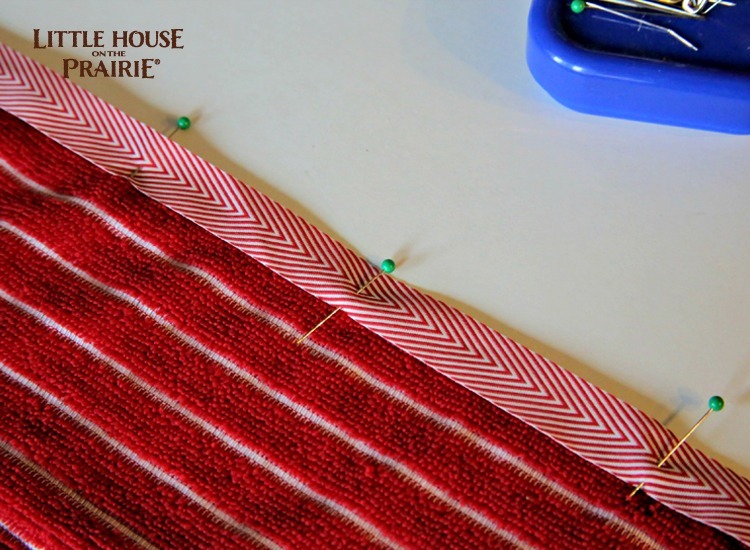 Then, sew across ribbon, near one side of the ribbon, then turn around and sew another line across the opposite side of the ribbon. Remove pins and clip threads. What color will you make your apron? 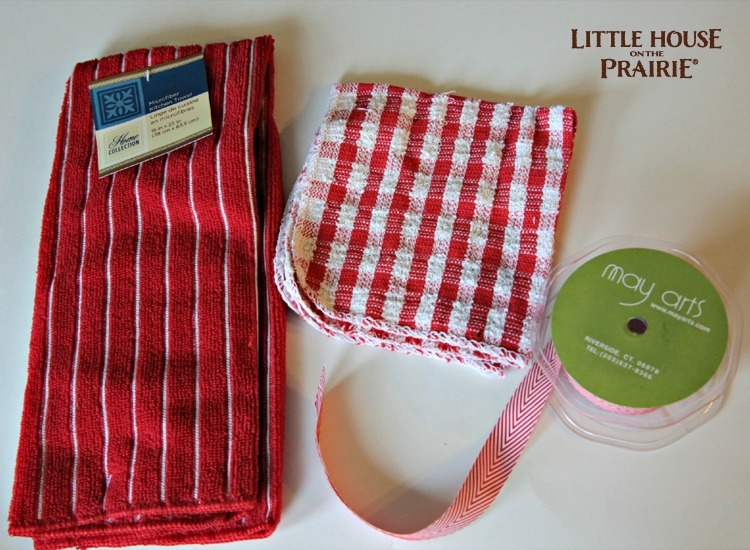 Subscribe to the Little House on the Prairie newsletter for future homemade craft ideas. 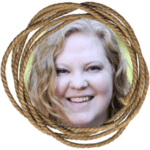 Heather Mann lives in Salem, Oregon and is the mother of four boys. She writes about inexpensive and simple craft ideas at her website Dollar Store Crafts. The first “chapter book” she ever read was Little House in the Big Woods, and she has re-read the entire Little House series at least six times throughout her life. I love your new web site. Super cute and loving these aprons. 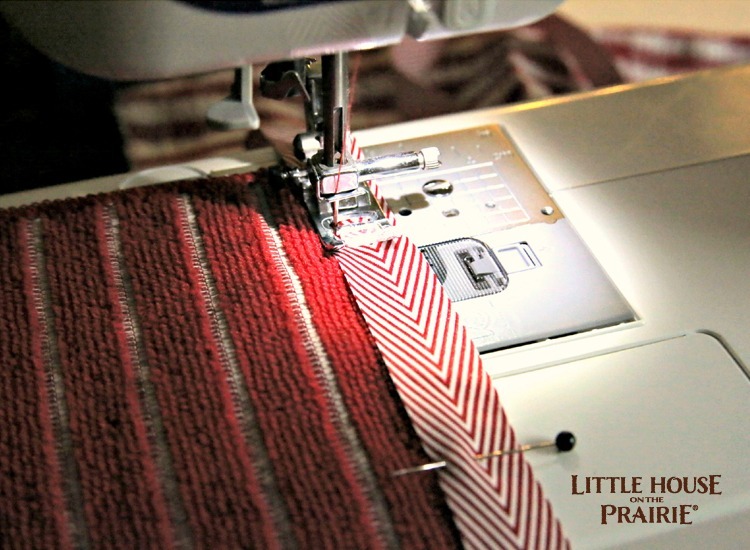 Love anything to do wth Little House and the Prairie!